The euro has been a remarkable success. By its tenth anniversary in 2009 it had become one of the world’s major currencies, rivalled only by the US dollar in usage and global influence. It is used by 320 million people in 16 countries, and these figures look set to rise as, with the exception of Britain and Denmark, all EU member states are obliged to adopt the currency. 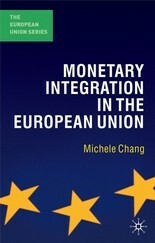 This major new text provides a theoretically-informed account of Economic and Monetary Union in the EU. It examines the history of European monetary integration, from its origins in the Bretton Woods Agreements through to the adoption of the euro by the accession states of Central and Eastern Europe. It provides a clear explanation of the key policies and institutions of economic integration and examines the role played by the euro in international markets. While it is informed throughout by the latest research in economics and political science, the book’s technical discussion has been kept to a minimum to help make it an extremely readable introduction to European monetary integration.